Navigate to your new site, and click Settings at the bottom of the navigation menu on the left. Click Import Content into this Course in the column on the right. ...continue reading "Canvas Tip: Copying Content Between Canvas Sites"
Library Reserves files and links are now placed directly in your Canvas course! When you request reserves you will receive information on where to find the files and links. 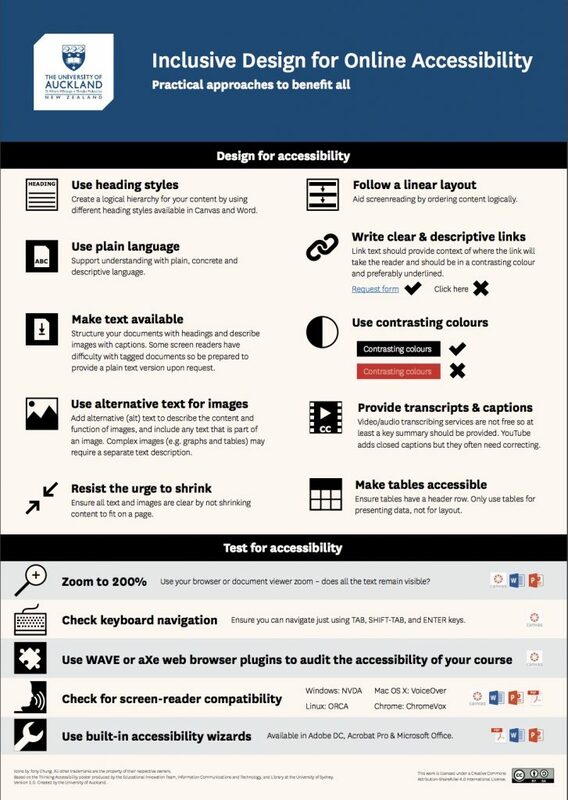 Questions on how to integrate these materials seamlessly in your course? 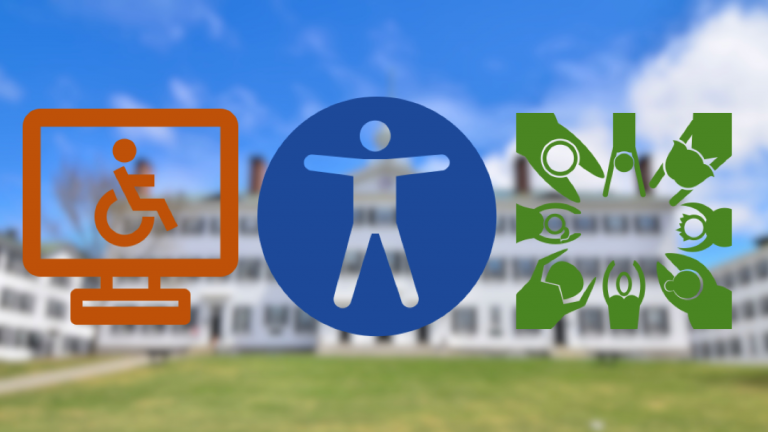 Check out the Canvas guides or email edtech@dartmouth.edu for assistance. 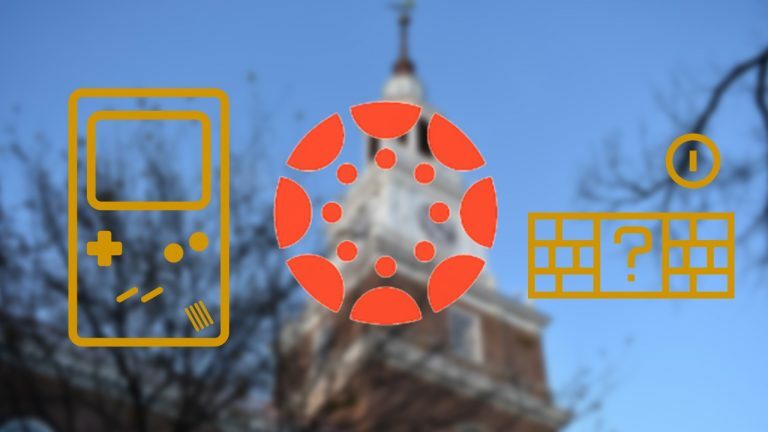 The instructional design team would also like to use this change as an opportunity to remind Dartmouth faculty that the college recently adopted a new set of guidelines for using copyrighted material. You can read about the new Dartmouth College Copyright Policy here, or click "Read More" for an FAQ on posting copyrighted materials to your Canvas site. ...continue reading "Library Reserves in Canvas"
Need Help with Canvas for Summer Term? Published on June 7, 2016 June 8, 2016 Author Adrienne GauthierLeave a comment on Need Help with Canvas for Summer Term? If you're teaching in the summer and would like help setting up your Canvas sites, the Ed Tech team is happy to assist! All office hours will be held in Berry 178. Our offices are located behind the computer walk-in center in Berry Library. Please look for the yellow "Instructional Design" sign and follow the arrow! If you're unable to make any of the times listed, please send an email to edtech@dartmouth.edu. An instructional designer will contact you to set up an appointment. Published on June 7, 2016 June 8, 2016 Author Adrienne GauthierCategories Blog, Canvas Tips, EventsLeave a comment on Need Help with Canvas for Summer Term? 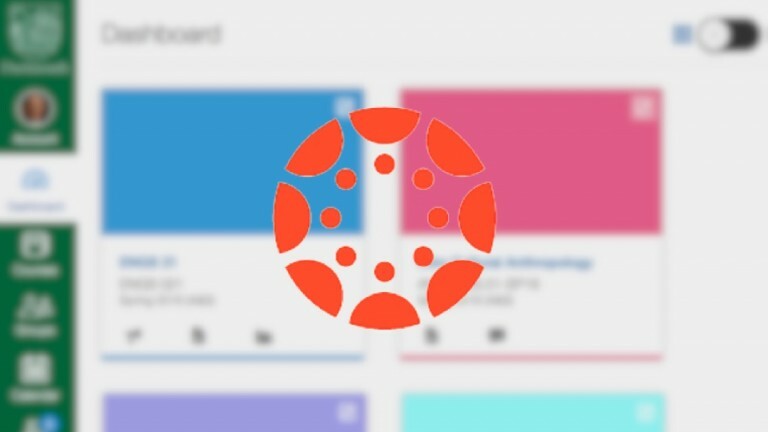 Introducing the New User Interface for Canvas! 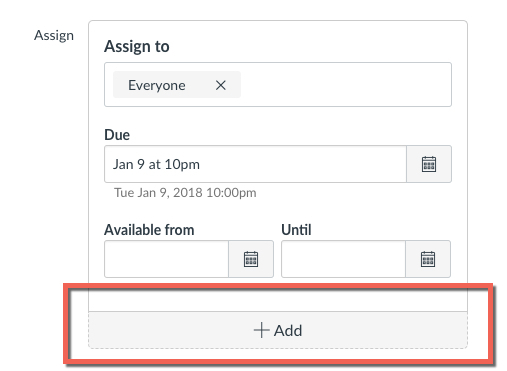 Published on June 3, 2016 March 21, 2019 Author Adrienne GauthierLeave a comment on Introducing the New User Interface for Canvas! Beginning Saturday, June 11, you’ll notice that Canvas has a new look. These changes are intended to make Canvas easier to use on a wide range of screen sizes. The Dashboard and Global Navigation have the most changes. Click the image for the visual tutorial. From within a course you can hide/display the course menu – handy from within Grades! Click the image for the visual tutorial. 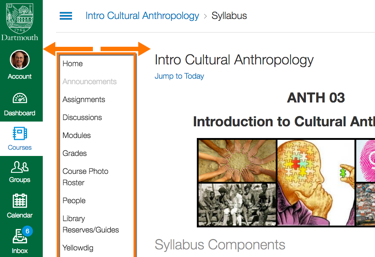 ...continue reading "Introducing the New User Interface for Canvas!" Published on June 3, 2016 March 21, 2019 Author Adrienne GauthierCategories Canvas Features, Canvas Release Notes, Canvas TipsLeave a comment on Introducing the New User Interface for Canvas! Canvas Feature: Are Students Reading Your Feedback? Published on February 18, 2016 July 8, 2016 Author Leave a comment on Canvas Feature: Are Students Reading Your Feedback? After the next production release goes live (Saturday, February 20th, 2016), you'll be able to see whether your students are viewing feedback you leave using Speedgrader! Whenever you use Speedgrader to annotate your students' work or leave comments, they should click "Grades" in the course navigation menu on the left, then click "Preview" after selecting the proper assignment. When they do this, they'll be able to view the annotations you've made in the margins of their work. Instructors will now be notified that students have clicked "Preview". This is a good way to ensure that students are receiving the feedback you leave. 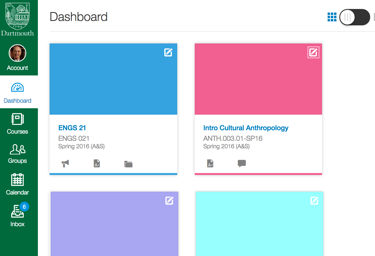 Published on February 18, 2016 July 8, 2016 Author Categories Canvas Features, Canvas Release Notes, Canvas TipsTags CanvasLeave a comment on Canvas Feature: Are Students Reading Your Feedback? 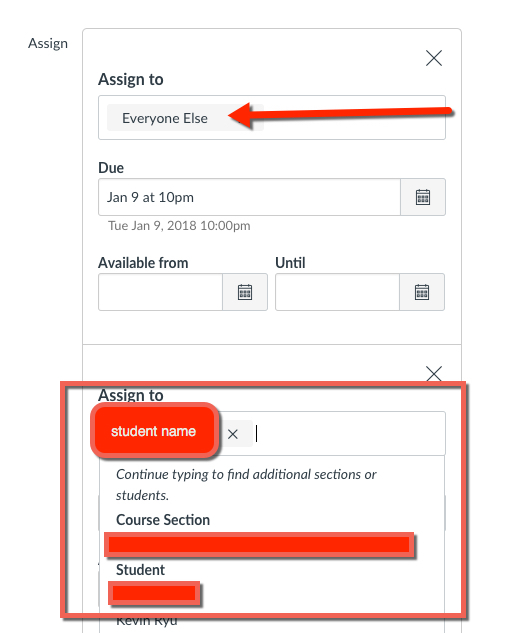 When you choose to hide the final grade from students in Course Settings, assignment group totals are now also hidden from students. 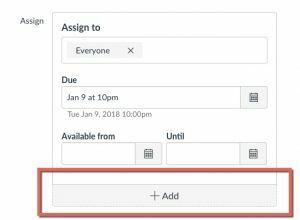 ...continue reading "Canvas Feature: Hide Assignment Group Totals"